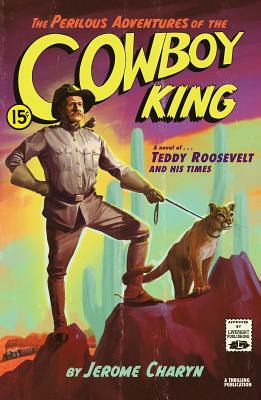 Raising the literary bar to a new level, Jerome Charyn re-creates the voice of Theodore Roosevelt, the New York City police commissioner, Rough Rider, and soon- to-be twenty-sixth president through his derring-do adventures, effortlessly combining superhero dialogue with haunting pathos. Beginning with his sickly childhood and concluding with McKinley's assassination, the novel positions Roosevelt as a "perfect bull in a china shop," a fearless crime fighter and pioneering environmentalist who would grow up to be our greatest peacetime president. With an operatic cast, including "Bamie," his handicapped older sister; Eleanor, his gawky little niece; as well as the devoted Rough Riders, the novel memorably features the lovable mountain lion Josephine, who helped train Roosevelt for his "crowded hour," the charge up San Juan Hill. Lauded by Jonathan Lethem for his "polymorphous imagination and crack comic timing," Charyn has created a classic of historical fiction, confirming his place as "one of the most important writers in American literature" (Michael Chabon).